Validation agreements: a game changer for European patent applicants? “Thinking outside the confines of the continental map”. In the beginning of 2015, Benoît Battistelli, President of the European Patent Office (EPO), unequivocally set the scene for the coming years. The priorities shall not be limited to finalizing the last details for the launch of the unitary patent in order to strengthen further the European patent system. Much remains to be done with respect to the global patent system, in terms of removing duplication of work, increasing work-sharing and harmonizing rules. In this context, a new framework is emerging between the EPO and countries that are not members of the European Patent Organization. 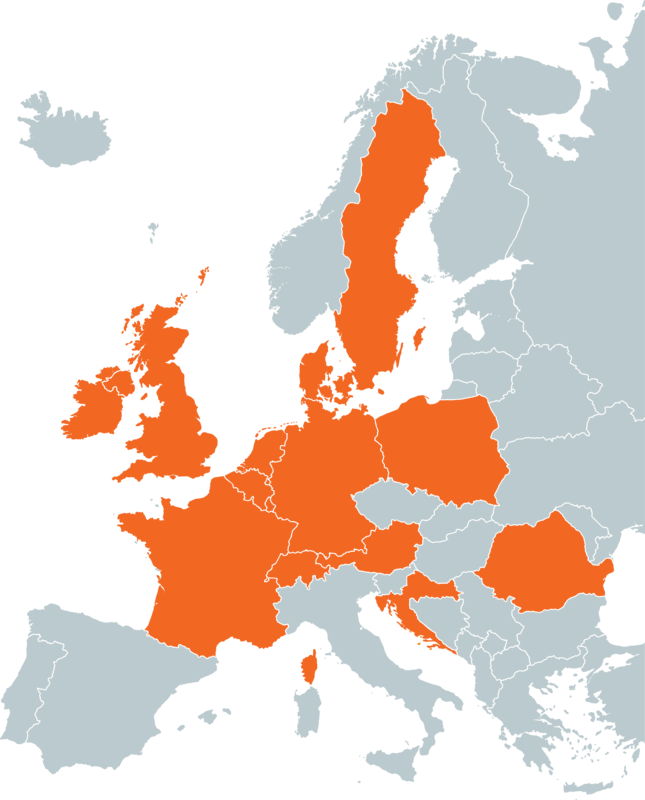 The EPO has established so-called “validation on request agreements” – short: validation agreements – that encourage any applicant for a European patent to extend the territorial coverage beyond the forty countries currently available under the EPC (38 Member States and two Extension States). These agreements do not imply any accession to the European Patent Convention (Article 166 (1)(a) and (b) EPC), and therefore are not confined to European states. To date, five countries are concerned. Validation agreements already entered into force in Morocco (01.03.2015) and Moldova (01.11.2015). The coverage goes beyond the Eastern European neighbors and Mediterranean countries, as confirmed by the recent developments with Cambodia and Lao PDR. In May 2017, the EPO and Angola also agreed to initiate discussions. As two agreements with Cambodia and Tunisia will possibly enter into force soon and other agreements of this kind are likely to follow, it may be worth analyzing whether or not these agreements could offer applicants a cost-effective and strategic filing option and leverage their patenting behaviors and propensity to consider some, if not all of the territories as regular filing routes. One of the stated objectives of the validation agreements is to enhance the technical capacities of national patent offices and improve their ability to raise patent awareness among national innovators. Some of the countries that have already formalized the cooperation are facing rapid economic growth, as the real GDP growth rates in Cambodia and Lao PDR may exceed 7% over 2016-2020 (OECD, Economic Outlook for Southeast Asia, China and India 2017). Thus, the development of a robust IP legal framework is a top priority. Until 2015, the ASEAN member states sped up their integration into the global IP system through the signature of international treaties. Cambodia, where the first patent was granted in March 2015, recently completed the circle of countries joining the Patent Cooperation Treaty (PCT). Most of the patent applications filed in the validation states originate from a first filing abroad. It is assumed that a significant percentage of these filings are also targeting the EPO, either in the context of a direct European patent application or an international application under the PCT. The validation agreements are aimed at reducing duplication of search and examination work and subsequently enable national patent offices to prioritize first filings from national applicants. Accordingly, the validation system could reduce national office examination workload proportionally to the number of second filings in these offices. Nevertheless, if the examination and grant procedures would fall under the responsibility of the EPO, the European patents designating any of the validation states remain subject to the relevant national laws and regulations. Indeed, the validation agreements only offer an alternative to filing a patent application directly with the national patent offices, for instance via the PCT. 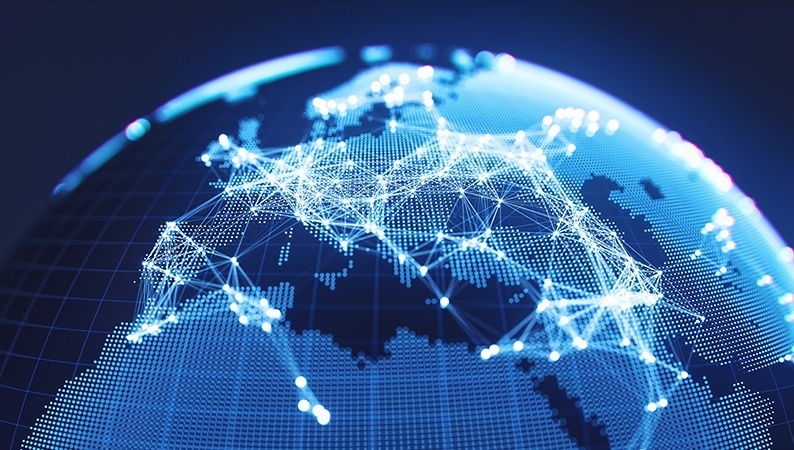 The European and national filing routes co-exist, while ensuring that any granted European patent, once validated at the demand of the applicant, has the same legal effect and conditions as corresponding national applications and patents. Consequently, the national patent offices retain exclusive competence for registering the patent granted on its behalf by the EPO as a national patent, collecting also the renewal fees due following validation of the European patent. Similarly, the national courts retain exclusive competence for deciding in validity and infringement procedures. In that sense, the validation system is a work recognition model that fully respects the national sovereignty of the validation countries. Unlike the extension states (Montenegro, Bosnia and Herzegovina), there is no prospect of accession to the European Patent Organization under the validation agreements. The validation states can be targeted by any European patent application or international application designating the EPO (Euro-PCT), filed as from the date of entry into force of the respective agreement. To date, this is possible for Morocco (1 March 2015) and Moldova (1 November 2015). The designation of a validation state must be requested by the applicant, subject to the payment of a validation fee to the EPO at the latest 6 months after the publication of the search report by the EPO. 75% of these fees are transferred by the EPO to the national office of the validation country. The competent national patent office would publish any such request upon notification from the EPO and not before the expiry of eighteen months from the filing date or priority date, if a priority application has been claimed. Upon grant of the European patent, the validation process can be managed by the applicant in each designated country, if he wishes to do so, like in any other EPO member states. One of the main objectives is to streamline the filing and granting processes. The proceedings on the merits are transferred from the national patent offices to the EPO. Moving towards a centralized system combining a search, examination, opposition and appeal, ensures higher legal certainty and speeds up prosecution. The benefits are twofold: mitigate the risk of dissuasive backlogs of patent applications in the countries and enhance the protection against rogue patenting. It is worth highlighting that, in the context of the PCT, the validation states have designated the EPO as International Searching Authority (under Chapter I) and Preliminary Examining Authority (under Chapter II). 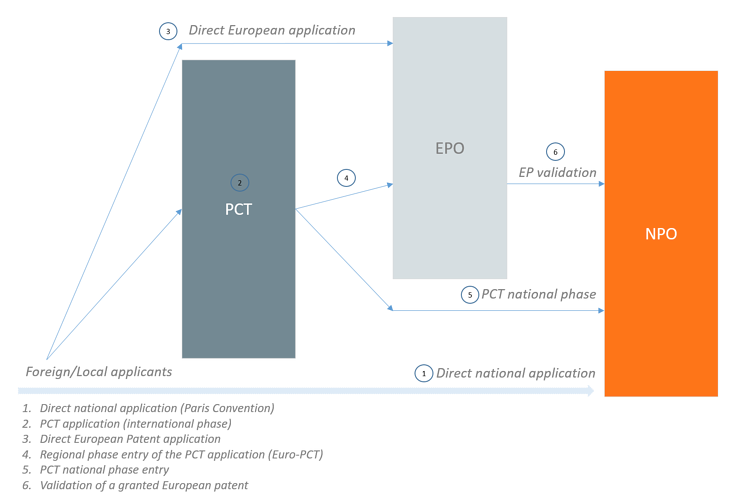 However, the international phase of a PCT application consists of a unified filing procedure. The search reports and written opinions on whether an invention fulfils the patentability criteria are not binding, and the examination and grant remain under the competence of national patent offices. The validation agreements constitute therefore an important complement to the PCT system in terms of harmonization and global efficiency of the procedure. The benefits associated with the PCT national phase entries in each country may not necessarily compensate the filing and prosecution costs. A unique procedure at the EPO might increase the propensity of foreign applicants to opt for the validation mechanism in order to increase the chance of obtaining patent protection in European and non-European countries simultaneously. The simplified procedure is likely to result in numbers of paid validation fees in the validation states that are comparable to the number of payments of extension fees in Bosnia and Herzegovina and in Montenegro (between 2000 and 3000 per year). Another positive effect of the validation agreements is to significantly reduce the costs for innovating businesses when seeking patent protection in the validation states. Foreign applicants, in particular the undecided or small and medium-sized companies, may generate considerable cost savings due to lower official (cumulative from filing to grant), translation and representation fees. The costs incurred up to the grant of the European patent (e.g. filing, search, examination, grant, translation of the claims in response the communication under Rule 71(3), the renewal fees beginning of the third year from the date of filing) remain unchanged, with the exception of the validation fees: 240 € in the case of Morocco and 200 € in the case of Moldova. Indeed, each validation state is subject to a validation fee that must be paid to the EPO, at the discretion of the applicants, no later than six months from the date on which the European Patent Bulletin mentions the publication of the European search report, or, in the context of the PCT, within the time limit for entering into the European phase of any international application (31-month). When reaching the validation of the patent granted by the EPO in the validation country, that is also applicant driven, additional publication or registration fees would also be incurred. The validation fees are relatively low compared to the cumulated national filing and prosecution costs, which might contribute to increase the propensity to seek protection in the validation states on the basis of a granted European patent. In this respect, it is worth mentioning that applicants entering the regional phase of a PCT application before the EPO would be able to partly extend the filing deadline by one month and better plan their budgets. To date, three validation countries or potential countries apply the 30-month time limit for the national phase entries (Lao PDR, Tunisia and Cambodia). Patentees may also reduce the overall translation costs incurred when completing the validation procedures within three months from the date on which the mention of the grant of the European patent is published in the European Patent Bulletin. The provisions set forth in the London Agreement are not applicable. Though, Cambodia will only require a translation of the claims into English and Khmer. Morocco accepts the filing of a French translation of the claims only. The full translation of the patent specification is still required in Moldova (into Romanian) and Tunisia (into Arabic or French or English). Therefore, the translated claims filed with the EPO prior to the grant, as well as the translation required for Romania, if designated, would already fulfil part of the translation requirements. Another parameter likely to influence filing costs relates to representation. The cooperation under the validation agreements strives to promote the development of a strong patent attorney profession in the concerned countries, if the country wishes so, in order to assist national innovators. The appointment of a representative that comprises in-house European patent attorneys and is locally anchored in the validation states, either directly or through local associates (e.g. to register an address for service and pay renewal fees), may eventually be cheaper than separating the services to be rendered at regional and national levels.